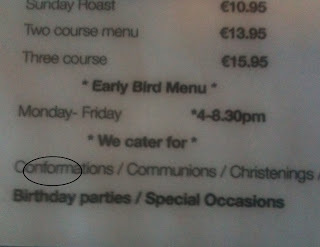 The Campaign for the Removal of English Errors in Public has been eating out recently. 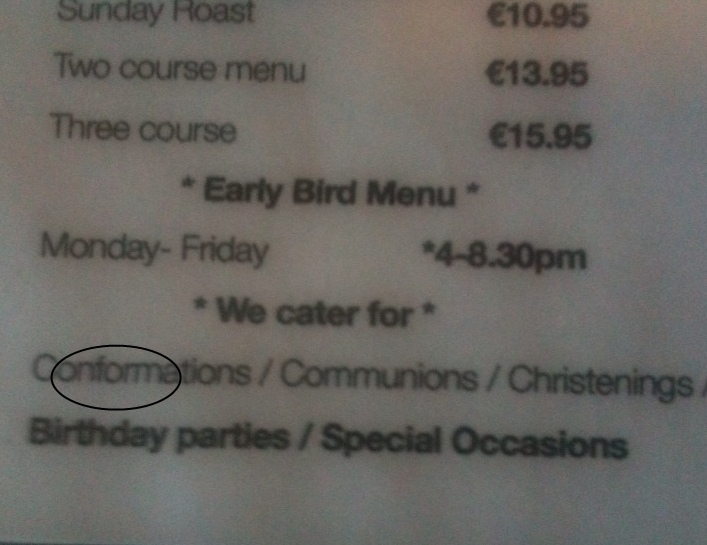 Above, a County Wicklow eatery caters for that familiar religious rite - making sure that youngsters conform to the rules, and celebrate their induction thereto. 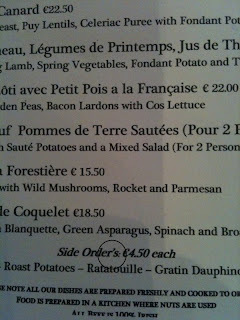 Below, l'apostrophe intrusive from a distinctly fancier establishment in the centre of Dublin (to be fair, the food is excellent, whatever about the punctuation). 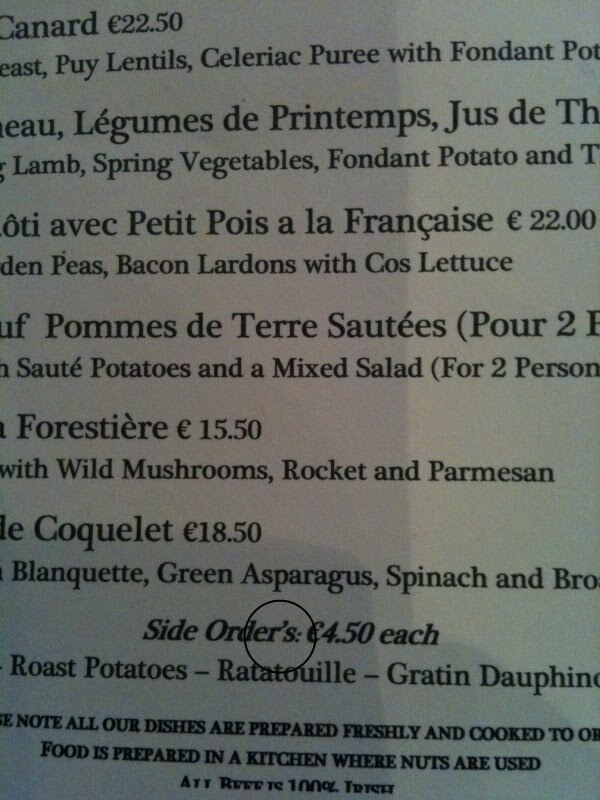 Zut alors! (thanks to our CREEP representative in the field, Philip Russell, for the first photo).